Passionate - Affordable...Dog Training and Pet Sitting - Contact us Today! 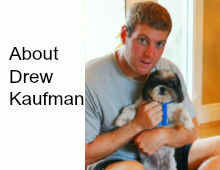 Drew Kaufman Professional - Passionate - Affordable...Dog Training and Pet Sitting My name is Drew Kaufman and I am a graduate of Animal Behavior College where I earned my certification as an ABC Certified Dog Trainer. Animal Behavior College (ABC) is approved by the Bureau for Private Postsecondary and Vocational Education and is an internationally recognized school. My year-long commitment to this program has provided me with a formal education in canine obedience training and an understanding of behavior. My certification, education and experience provide me the skills required to effectively and humanely train your dog while keeping alive the spark that makes your dog so special to you. Drew Kaufman Professional - Passionate - Affordable...Dog Training and Pet Sitting Just a Walk in the Park's training philosophy is that a dog will do dog things. When it’s understood why a dog does what it does, enhancement of certain natural behaviors or corrective action taken for misbehavior may be applied. Dogs generally will respond to leadership and benevolence. They tend to avoid or shy away from uneasy situations or those which they distrusts. Just a Walk in the Park's training first establishes leadership, then makes the learning environment distraction free and comfortable. Drew Kaufman Professional - Passionate - Affordable...Dog Training and Pet Sitting Dog Walking Weather your working, enjoying a long day trip, golfing, boating, or recuperating from an illness we can help provide peace of mind by walking your dog at the time (s) you request. This service is also helpful for seniors who may need additional help. 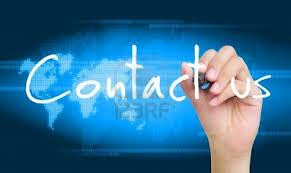 We are very flexible and accommodating and understand the need for last minute request. All you have to do is call or text! There is no additional charge for multiple dogs. Just a Walk in the Park | Powered by Mantra & WordPress.